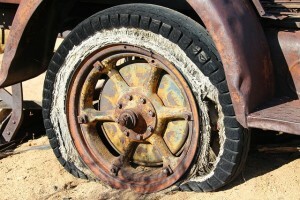 In business, it generally doesn’t make sense to reinvent the wheel. Why spend time and resources developing something that already exists commercially? For personal development projects, though, it’s a great way to appreciate the amount of work that went into the existing solutions. Plus, it can obviously be customized to behavior however you’d like. Lately, I’ve been working on a tool to take a domain name, suggest similar names, and then check to see if those sites are active. The primary use will be in discovering and reporting domains being used for typosquatting or fraud. There are existing tools, like dnstwist, but I figured it might be fun to attempt something similar on my own. My tool will allow me to define which domains I’m interested in monitoring out of the automatically-suggested list (since some are just super unlikely) and perform periodic checks against them. It’ll also grab a thumbnail image of the site (if a website for the domain exists) and maybe some meta-data… and allow me to add my own notes. This will let me identify active domains with similar names to the ones I’m interested, but can also exclude sites I’ve identified as being legitimate. By periodically evaluating the registration data, I can also flag domains as needing reviewed. This way, if I identified XYZ.com as legitimate, but then a year later it changes hands, I wouldn’t want to treat it the same as the original XYZ.com that I originally reviewed. I’m doing it all in my free time. Since I don’t have a whole lot of that these days, things are progressing quite slowly. Still, though… it’s fun. That’s what’s important, right?